My most recent 600SE system work. A unique approach to a swappable back system. The BEST Polaroid conversion available anywhere that allows you to use the most instant films of any machine ever built, but also regular 120/220 and even 4×5 (but cropped). Much less heavy than your standard original Polaroid 600SE body and folds up more compact for easy travel and storage. If it is made for the 600SE camera system, it is guaranteed to fit this camera. From macro spacers and ground glass panels, to rollfilm backs and even integral films like the New Impossible Project 600 and SX70 color and black/white films. Also, introducing for the first time ever is a professional, clean, Fuji Instax Wide capable back for your 600SE camera. Get the best of more than three film types and formats in a quick and easy to swap locking system. Right off the bat you will receive with your camera ONE instant packfilm back. 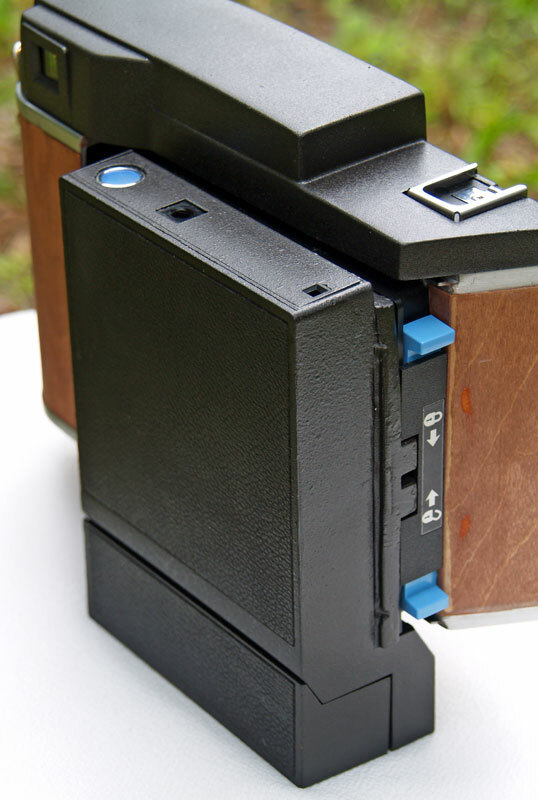 Allowing the use of all 3×4 instant films such as 669 and FP100C. No need to finish an entire pack of film to change types, just swap to another film back and keep shooting. If you are interested in swappable lenses please see my custom lensmount page. 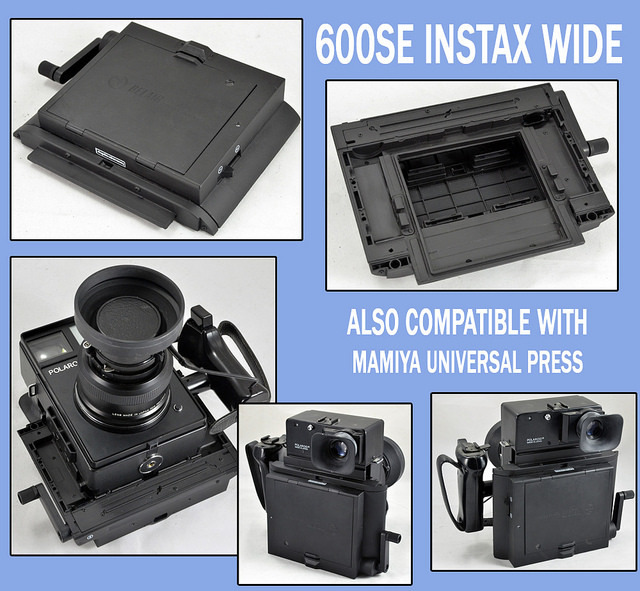 ONE instant packfilm back for 600SE system is included in the price! The following things can be added to your camera. Each of the custom backs are 100% full frame. All Fuji instax wide films! Allows you to use peel apart instant films, SX70/600 films and even Instax Wide films at a discounted price for buying everything together all at one time. Your choice of new leather!